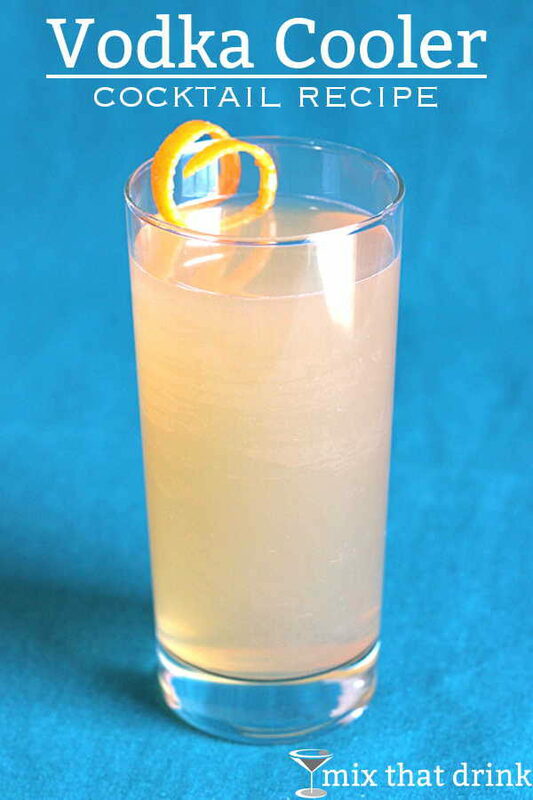 The Vodka Cooler is a terrific drink for summertime, blending vodka and lime with ginger beer. It’s very refreshing, and perfect for poolside. This is very much the Moscow Mule with different ratios and a little simple syrup added. It doubles the amount of lime juice, giving it a more tart flavor, but the simple syrup keeps it from becoming a mouth pucker. The dominant flavors here are the ginger and lime. Since that’s a combination most people enjoy, the Vodka Cooler is a great choice for parties. If you have any non-drinking guests, simply leaving out the vodka makes this a delicious non-alcoholic “mocktail.” For the alcoholic version, you can mix up the lime juice, vodka, and simple syrup ahead of time in a pitcher and chill it in the fridge. For each guest, then, you just pour in about three ounces of that mixture followed by the ginger beer. You can also pour these ahead of time and leave them in the fridge. The Vodka Cooler drink recipe is similar to the Moscow Mule, but with a stronger lime flavor and a little sugar. It's tasty and refreshing - definitely a drink you need to try. Fill a cocktail shaker with ice. Pour in all ingredients except the ginger beer. Fill the rest of the way with the ginger beer. I like this, but I like the Moscow Mule better. I guess that’s why it’s better known.